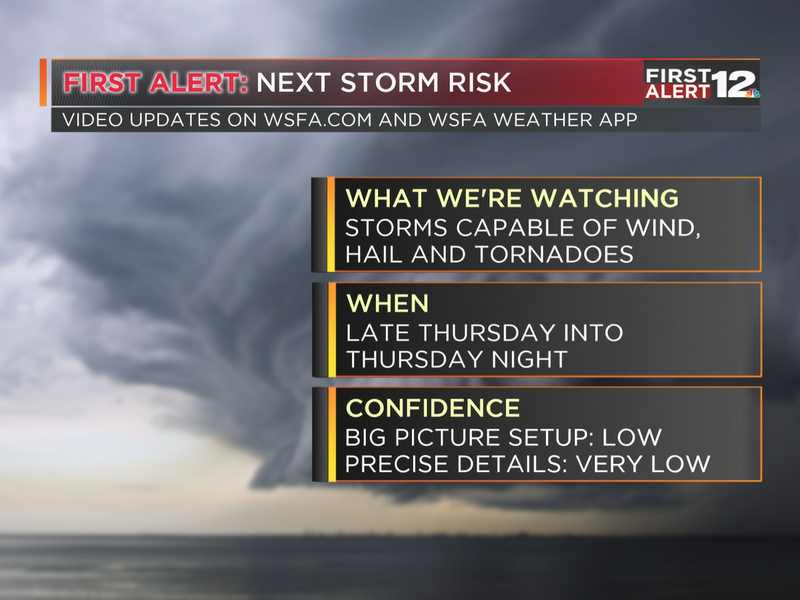 First Alert: Clouds increase Friday, some rain Saturday? 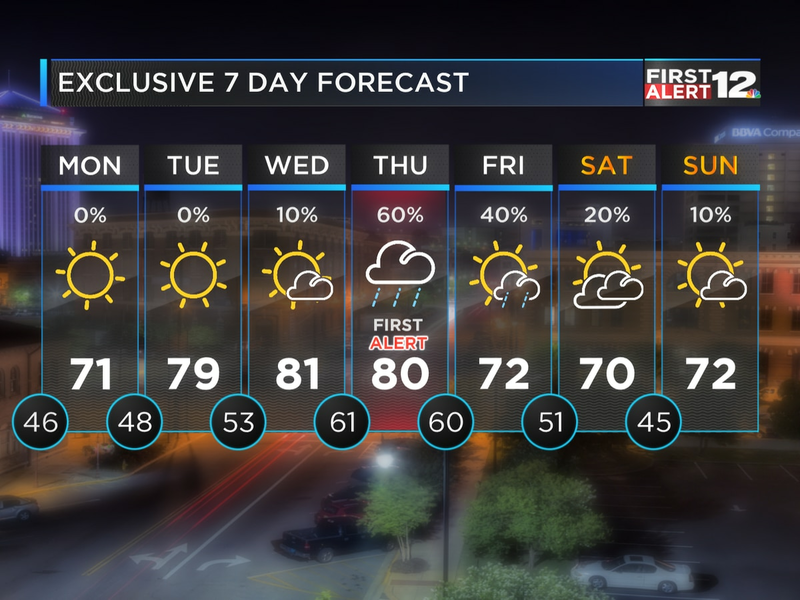 MONTGOMERY, AL (WSFA) - Another clear, cool night is in progress across Alabama; we’ll drop into the upper 50s by sunrise Friday. Today looks warm, high temperatures will reach the 77-82 degree range in most places, with a mix of clouds and sun. Clouds will thicken up to night, and a few scattered showers will pop up late tonight. 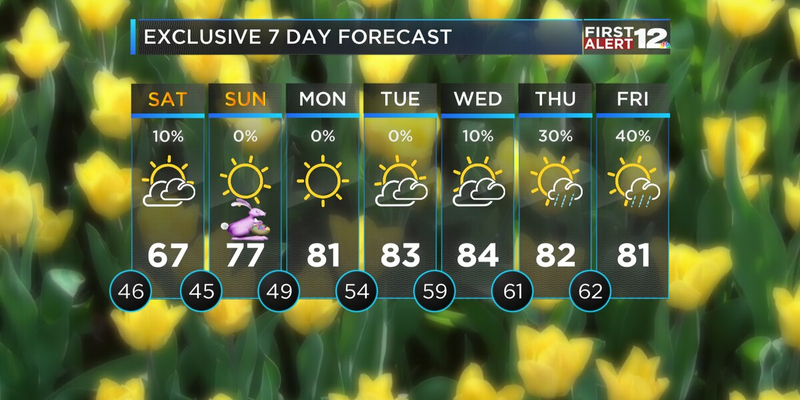 A line of scattered showers will drop through Alabama on Saturday. As it moves through our part of the state, it will be weakening as the forcing and lift gradually weaken. So, the chance of rain will be considerably higher in central Alabama than south Alabama. A few showers are possible for the Tuskegee homecoming game - all of our other teams are on the road. Comfortably cool weather headlines the forecast for most games. Noticeably cooler air arrives Sunday; highs stay in the 60s and we’ll drop into the 40s by sunrise Monday.